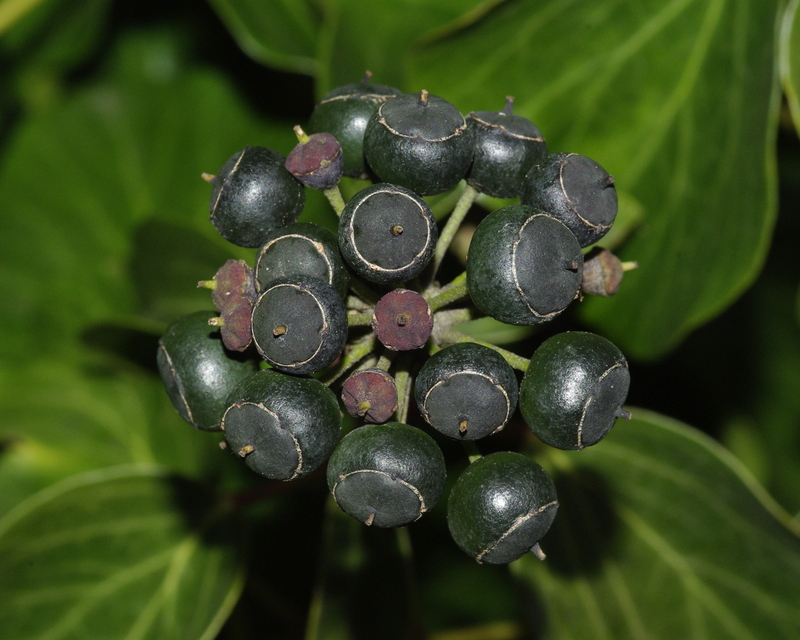 ivy berries | Phil – Refuelled! It always seems fitting, to me, at any rate, that the various parts of different species of ivy, mostly quite poisonous, have such strange shapes, patterns, and/or colouring. I happened to spot a large clump, covered in berries like these. Oddly attractive, but they seem to send a warning, as well!